See your price, and schedule a home cleaning. Competing demands at work and home keep our lives busy. Time is more precious than ever. Wouldn’t you love to cross one HUGE time-consuming item off of your chore list? Whether your home is right off Mill Ave by Tempe Town Lake next to ASU, Near Tempe Market Place or further south in South Tempe, Tidy Casa provides home cleaning and maid services near you. All services including the standard home cleaning, move-in / move-out, deep spring cleaning and our hourly cleaning service are backed by our 200% happiness guarantee. Meaning if you’re not happy with your cleaning we’ll come back and clean again. If you’re still not happy we’ll give you a full refund. No questions asked. 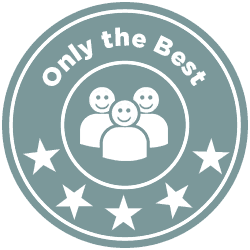 Our reviews speak to the fact that we’re 100% committed to our work and delivering quality. So, if you want your home cleaned with the same love and care you give it. Tidy Casa is the company for you! Tidy Casa cleans houses of all shapes and sizes in Tempe AZ. We focus on flexibility and quality so you don’t have to worry about that pesky home cleaning chore anymore! Our trusted house cleaners have passed a stringent hiring process so you can rest assured our teams are the best home cleaners in the valley. That’s because we care deeply about providing our customers with the five-star service we’re known for. We’re all busy, that’s why we built our business from the ground up to make it as easy as possible to get an estimate and book online. That means no in-home estimates, no reason to call, just book online in less than 60 seconds and continue living your life! 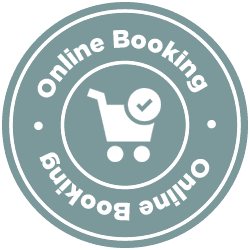 Just head over to our user-friendly online booking system, and in 60 seconds you’ll have the flat rate quote for your service and a Tidy Casa home cleaning appointment on your calendar. We also offer hourly services for those odd jobs that don’t require a full home cleaning. We’re flexible and we reward loyalty. You can schedule a one-time, weekly, bi-weekly or monthly cleaning to meet your needs. Repeat scheduled services come at a discount. We make it our mission to deliver a world-class cleaning service. We’re so confident you’re going to love the cleaning service we’re putting our money where our mouth is. Hence, our 200% happiness guarantee. That’s right, if you’re not completely satisfied with the services you receive, we’ll come back out to your home and get anything we missed. If you’re still not satisfied with our services we’ll give you a full refund, no questions asked. That’s right! We’ll refund your money. 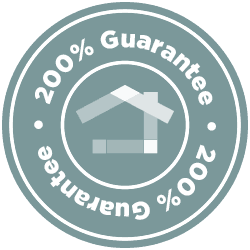 You might be thinking, “This is too good to be true!” The truth is if we weren’t the best cleaning company in the valley, this guarantee would put us out of business. If our satisfaction rate wasn’t thought the roof, we wouldn’t be able to offer this lever of service. Just take a look at what people are saying about Tidy Casa on our Yelp page or read some of our real customer reviews below. Don’t settle for the clutter and mess. Take a load off. Book your home cleaning appointment with us today! 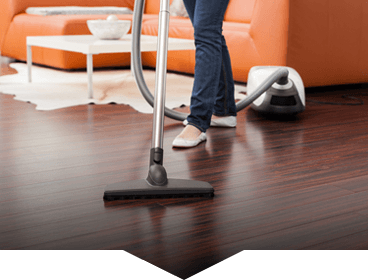 What’s Included in a Standard Home Cleaning? Need to know what’s included with a Tidy Casa Cleaning? Click the area of the house below to get the complete list. In addition to the standard cleanings, extras can always be added upon request for that additional shine. If you have any special requests (perhaps you don’t want a particular room cleaned or you’d prefer that we focus on a certain area), simply let us know before the cleaning. We want to make sure you’re 100% satisfied with how your home looks when we’re done. What Makes Tidy Casa Special? What makes Tidy Casa so special over other home cleaning companies? We’re the number one rated home cleaning company in Phoenix. Aside from our core values of always being honest, thorough and timely, here’s a short list of other things we do to go above and beyond every time. The Tidiest Casa you could possibly imagine. After six months of remodeling my condo and not cleaning it once, it is fair to say that I needed a house cleaning if I wanted my girlfriend to stay. So this last Saturday, I finally gave in. The cleaners came in at 11 AM and left at 1 PM. The team lead was named Veronica and she was understanding, very detailed-oriented, and helpful. After the two hours that the cleaners had been there, this is what I noticed: the floors felt brand new in bare feet; the kitchen was spotless (they even washed our dishes and cleaned an uncleanable range!! ); every surface in the house was dusted; the bathroom smelled like flowers (the whole house actually smelled like flowers); and they left a little delicious bar of soap showing their appreciation. I also suspect they went to Hogwarts because there is no way they should’ve been able to do what they did in the time they did it in. Loved it, Loved Tidy Casa whole process from booking my appointment to the actual cleaning. The website was super easy, great when your schedule is crazy!! The team who cleaned my house was efficient and did an awesome job. I will be booking with them again!! Thank you Tidy Casa. I do not have time nor do I want to clean my condo. I just want to come home from a busy day’s work and not have to keep working. Tidy Casa made that possible. I loved coming home to a clean home with everything in its place. It smelled so fresh!! Veronica and her team did an awesome job. Not only did they clean every single shutter on my windows but the soap they left – mmmmmm so good. I wash my hands in that bathroom, with the Tidy Casa soap just because it smells so good- AND I know it’s organic, as are all of their products. I would absolutely use Tidy Casa over and over (I think I might book a cleaning right now!) Thank you so much for your really over-and-above customer service.